Earlier this year, while celebrating its centennial, BMW told us it plans to offer a self-driving car by 2021 called the iNext. A battery-electric luxury sedan with autonomous capability, developed in partnership with suppliers Intel and Mobileye, the iNext represents an ambitious reach for a company that has—thus far—not been regarded as a leader in either electric cars or self-driving technology. Now we’ve toured the facilities where this work is underway to see just how big an effort will be required to change that reality. 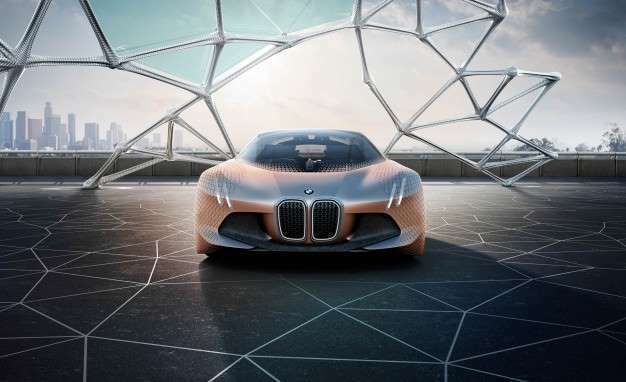 Suggesting how much research will be devoted to the program, Fröhlich noted that BMW’s entire R&D program today encompasses 60 petabytes (one petabyte is one million gigabytes) of data; the new project will require 600 petabytes, or a tenfold increase. In five years. A lot of that will be devoted to the development of the artificial intelligence (AI) to make a self-driving car possible in that timeframe. Artificial-intelligence research has been at the forefront of many tech companies’ and automakers’ autonomous efforts this year. Companies like Google, IBM, and Intel, all with footholds in the auto industry, launched a best-practices group for the technology in September. Automakers are attempting to keep pace, the latest being Daimler, which announced Thursday it will participate in a research initiative in Stuttgart and Tübingen pursuing AI advances. Rene Grosspietsch, head of autonomous driving cooperation and ecosystems, said the system needs not only sensors onboard but also a high-definition digital map, updated in real time for changing road and traffic conditions, that is much more detailed and accurate than any available today. As if teaching a robot to drive weren’t challenging enough, this artificial intelligence has to be packaged into a car that meets all the other expectations consumers bring to the marketplace while adapting to a rapidly changing set of rules, regulations, and laws globally. “Our mule right now is a 7-series sedan, and its trunk is completely packed with hardware,” Grosspietsch said. So, yeah, packaging may be a challenge, too.